A major rift has developed in the ruling class over the revelations by Edward Snowden of the massive spying by the NSA of every American and hundreds of millions worldwide. On December 16, a conservative federal judge, appointed by George W. Bush, ruled that the vacuuming up of phone “metadata” of U.S. citizens was most likely a violation of the Fourth Amendment of the U.S. Constitution’s prohibition of unreasonable search and seizure. He described the NSA program as “almost Orwellian,” and that James Madison, one of the drafters of the Constitution, would be “aghast” to learn that the government was encroaching on liberty in such a way. The judge also noted that the government had failed to cite “a single instance in which analysis of the NSA’s bulk metadata collection actually stopped an immanent attack, or otherwise aided the government in achieving any objective that was time-sensitive,” effectively blowing out of the water the administration’s excuse for the vast spying program. The report’s recommendations included the stopping of the bulk collection and storing of phone data, and reforming the structure of the Foreign Intelligence Surveillance Court (FISA), which currently hears only one side – the government’s – before rubber-stamping any and all requests for spying. Obama is currently “studying” the report. He initially said that maybe some reforms could be done, but repeated the blatant lie that there was no evidence that the phone surveillance was being abused. The day before the panel’s report was released, Google and other Internet companies publicly complained to Obama that the NSA programs were undermining American competitiveness in offering cloud services or selling American made hardware, which is now viewed around the world as tainted. Then came the bombshell. The most important capitalist newspaper in the United States, the New York Times, ran an editorial in early January titled, “Edward Snowden, Whistle-Blower.” The editorial began, “Seven months ago, the world began to learn the vast scope of the National Security Agency’s reach into the lives of hundreds of millions of people in the United States and around the globe, as it collects information about their phone calls, their messages, their friends and contacts, how they spend their days and where they spend their nights. “The public learned in great detail how the agency has exceeded its mandate and abused its authority, prompting outrage at kitchen tables and at the desks of Congress, which may finally begin to limit these practices… All of this is entirely because of information provided to journalists by Edward Snowden… Considering the enormous value of the information he has revealed, and the abuse he has exposed, Mr. Snowden deserves better than a life of permanent exile, fear, and flight. He may have committed a crime to do so, but he has done his country a great service. The editorial concluded, “When someone reveals that government officials have routinely and deliberately broken the law, that person should not face life in prison at the hands of the same government.” The White House and the Department of Justice rejected the Times’ plea for clemency out of hand. These divisions have continued to deepen. The speech by President Obama which was supposed to move the discussion forward was a flop, and polls indicate it didn’t change anyone’s mind. He gave his usual “on the one hand, and on the other” type speech attempting to appease both sides, but came down in defense of the NSA program. Where he did seem to offer changes, there were caveats. For example, he said the NSA’s bugging of foreign leaders would cease – except in cases of “national security.” But that is the justification for the whole NSA spying program. These discussions don’t even touch on the spying on hundreds of millions of ordinary citizens in Germany and elsewhere in Europe. 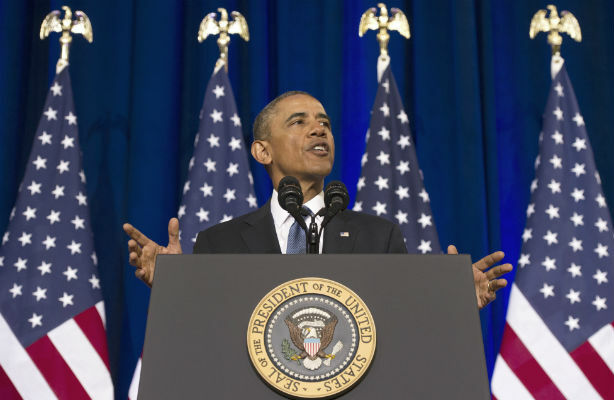 Reports of views of most Europeans are dismissive of Obama’s speech. Another example: Obama promised to find a way to have targets of NSA spying brought before the kangaroo Foreign Intelligence Surveillance Court (FISA) have some kind of advocate present. But the targets themselves would not be present and would not even know of the secret FISA proceedings. Such “advocates” would be chosen from a government-appointed list, and only be present when FISA decided to do that. The word “foreign” in FISA’s name is misleading. FISA is the only court which oversees NSA’s operations, including the sweeping up of all “metadata” of every phone call, tweet, email, or text of all U.S. citizens, which it has given carte blanche to. On January 23, six days after Obama’s speech, an independent federal privacy watchdog issued a 238-page report concluding that the NSA’s collection of bulk “metadata” of U.S. citizens provided only “minimal” benefits in counterterrorism efforts, and is illegal and should be shut down, a direct refutation of Obama’s stand that the program must continue. This was the first major public statement by the Privacy and Civil Liberties Oversight Board, which Congress made an independent agency in 2007 and only recently became fully operational. Commenting on the report, the New York Times says it “lays out what may be the most detailed critique of the government’s once-secret legal theory behind the program: that a law known as Section 215 of the Patriot Act, which allows the FBI to obtain business records deamed ‘relevant’ to an investigation, can be legally interpreted as authorizing the NSA to collect all calling records in the country. Of course Section 215 and the whole Patriot Act is a violation of civil liberties. The “war on terrorism” rational for the wars the U.S. has waged since and the setting up of this vast spy operation is bogus. 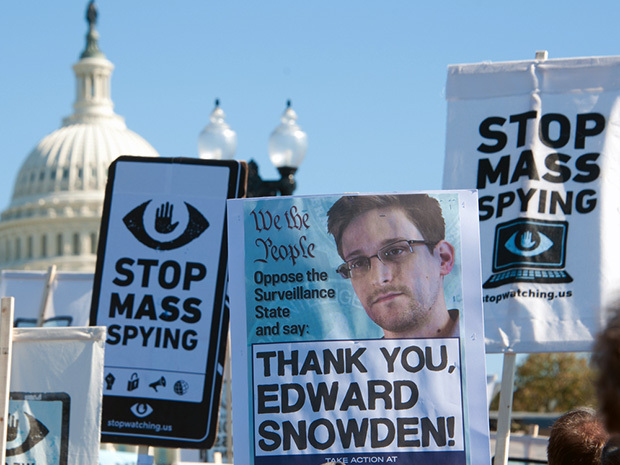 Snowden’s revelations of the extent of international spying, including economic spying, have also caused concern. Also on January 23, the World Economic Forum in Davos, Switzerland, set up a commission to “scrutinize the future of the web in the wake of the Edward Snowden revelations,” according to the British Financial Times. “Marissa Mayer, chief executive of Yahoo, said [in Davos] trust in her company and others had been damaged by the disclosures.” Her concerns were echoed by other company heads. Microsoft has now said it will not store international users’ information in the U.S. The Financial Times reports, “Brad Smith, general counsel of Microsoft, said that … it had become necessary after leaks showed the National Security Agency had been monitoring data of foreign citizens from Brazil to the EU.” Whether this move by Microsoft will calm concerns, given the worldwide reach of the NSA, remains to be seen. Why is it important when such divisions occur in ruling class circles? Because it helps our side, the working class side, to expose ruling class attacks on us. Polls now show that around seventy percent of U.S. citizens think NSA spying on them should be curtailed or eliminated, for example. The division over the NSA program also extends to differences over how Edward Snowden should be treated. It isn’t just the New York Times editors who have called for clemency for Snowden and recognized the great value of his revelations. Calls for clemency have increased in the last several months by other news organizations as well as civil liberties organizations. In response, Obama’s spokeman Attorney General Eric Holder rejected those appeals on January 23. He said that Snowden should plead guilty to the charges against him, and then and only then the government would consider a plea deal. A bipartisan attack on Snowden was launched by the heads of the House and Senate Intelligence Committees on the Sunday “Meet the Press” TV program January 19. Mike Rodgers, the Republican head of the House committee, was joined by Democrat Dianne Feinstein of the Senate’s in raising without a shred of evidence that Snowden had all along been working for the Russian spy services while he was employed as a contractor for the NSA, even before his revelations. Rodgers said that Snowden’s possession of a “go bag” to get out of Hawaii and his smooth entry into Hong Kong indicated preplanning beyond his individual capacity. “I don’t think it was a gee-whiz luck event that he ended up in Moscow under the handling of the FSB [the Russian spy agency],” Rodgers said. “He may well have [been a Russian spy]” Feinstein chimed in. Barry Sheppard is a member of Solidarity in the Bay Area. He has written a two-volume political biography about his time as a leading member of the Socialist Workers Party. He writes a weekly letter from the U.S. for the Australian Green Left Weekly and Socialist Alternative magazine, which is the source of this article. Where business interests and State interests conflict there is internal ruling class division and controversy. Clearly some American business interests have been harmed by NSA practices since they have been revealed by Snowden, and growing opposition to them by many US based multinationals due to the competitive disadvantages they impose provides a wedge for popular interests to insert themselves into the debate. American capital must and will find a fix for this problem in the form of some kind of compromise between state and capital in order to allow their continued monopolization of control over all forms of mass media, but in the meantime we can certainly take advantage of the political opening to press forward demands for real democratization and autonomy from both state and capital of the means of communication, especially the internet.